Megan Alexandra Putnam, 27, was the victim of a violent crime in San Bernardino, California, on Tuesday, August 7, 2018. Megan was born to the marriage of Steve Putnam and Twilia Davis Putnam (divorced). Megan attended Johnston Christian Academy and Four Oaks Elementary while in North Carolina. Megan then attended Elmer Wood Elementary, Mitchell Senior Elementary and Atwater High School in Atwater California. Megan was preceded in death by her maternal grandparents, Grady and Tazzie Davis of Selma, North Carolina. 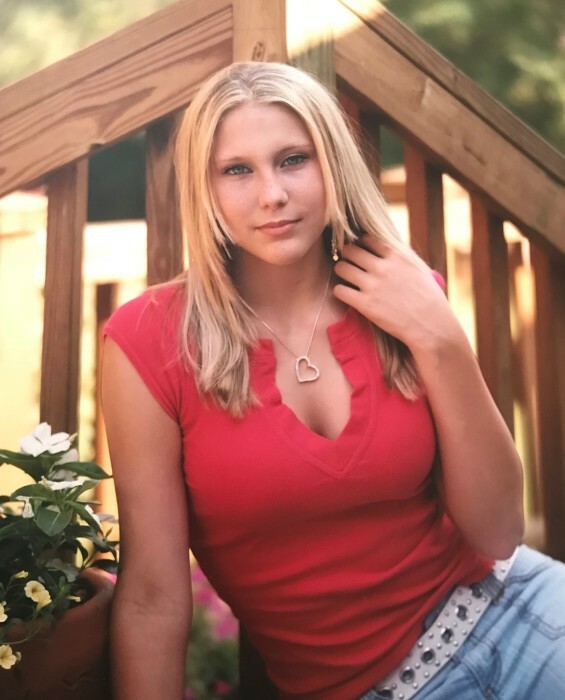 Megan is survived by her father, Steve Putnam and stepmother, Karen of Atwater, California, and her biological mother, Twilia Davis of Smithfield, North Carolina. Also surviving Megan, is brother, Shay Putnam of Sacramento, California, stepsister, Sydney Nickelson, of Atwater California, and her paternal grandparents, Donald and Joyce Putnam of Smithfield, North Carolina. A memorial service will be held at First Baptist Church, 1683 Fifth St., Atwater, California, on Friday, August 24, 2018, from 10:00 a.m. until 12:00 p.m.
Condolences can be sent to 1416 Fairway Dr., Atwater, California 95301.